Very simply, we'd like to be close friends to one another, good neighbors to the community around us, and have an interactive relationship with God. It’s simple, right? ... Wrong. It's difficult to live intentionally, rather than impulsively. It's difficult to love others, instead of simply tolerating them. It's difficult to wake up everyday and believe that God is even remotely interested in us and that he actually has some sort of purpose for us being alive. To this end, we need one another. This is The Church. We're a vulnerable group of remarkably imperfect people, who don't have it all together, and we don’t have all the answers, and more than anything we really need God, and we seek to walk in the way of Jesus, our Rabbi. Just imagine The Church celebrating what they have in common, instead of pointing out how they differ, being more interested in meeting the felt needs of people instead of judging them, more interested in late-night conversations instead of three-point sermons. Just imagine The Church engaging the surrounding culture instead of insulating itself from it, learning how to ask better questions instead of having all the answers, getting caught up in the Kingdom of God, rather than the empires of man. Imagine The Gospel of Jesus Christ wrecking your life, instead of making you feel comfortable. Imagine The Church being a redeeming presence in this world, telling a redemptive story that can be experienced by all. There's plenty of room for imagining these things at The Shack. Come hang out with us. 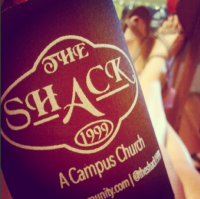 The Shack is non-denominational and meets every Sunday Night for simple worship and honest, conversational teaching. See the "Worship" link for more info. The door is open, the place is yours. A Living Room is where you invite the people that you want to get to know better. 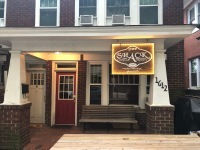 It's where you have good introductory conversations and you grow in your friendship. For us our "Living Room" is Sunday Nights at 5pm in Petigru Room 108 where we have our weekly worship service. We encourage you to come check it out and hear how we talk about God, Faith, The Bible, and Life. Check out our Podcast page to hear some of our past sermons. The Kitchen is where "real" conversations happen, most often have the conversations that change who you are in the Kitchen. For us our Kitchen is our "Family Groups", these are our small group communities where we really try to work out how we follow Jesus and we actively live as his disciples. Check out our "Events" Link in the menu for where and when they meet. 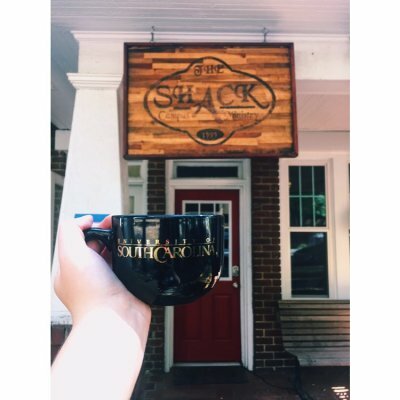 Come by the campus house Monday - Friday 9am-5pm for free coffee or feel free to use our space to study. We also have a prayer room downstairs if you need a quiet place to get away to and finally we have a library full of books that you are welcome to check out if you find something you would like to read. 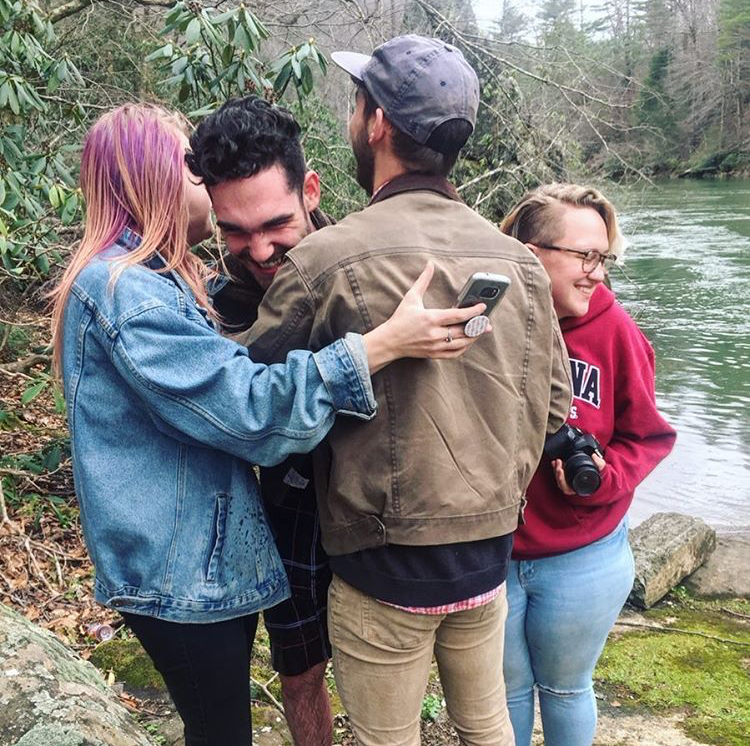 "To be real people showing love and sharing grace through Christ"
We desire to be completely authentic people, warts and all, who are doing their best to serve, love, and give grace to everyone we come in contact with. We believe that the only way that we can do this is "Through Jesus" because on our own we can be pretty terrible at service, love, and grace, but Jesus was the absolute embodiment of those things and we're just trying to do our best to look like and follow him.